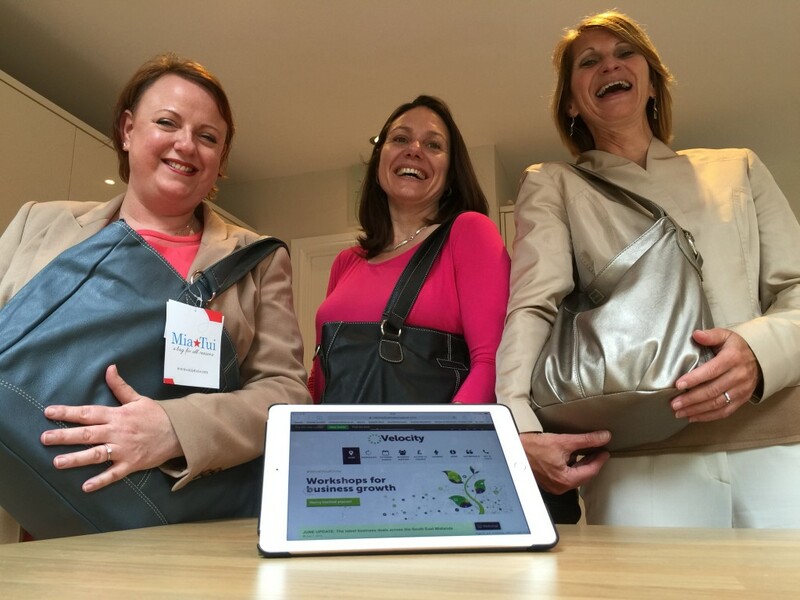 A Milton Keynes handbag designer is celebrating after winning a new iPad in a competition organised by business support service Velocity. Entrepreneur Charlotte Jamme, who runs global bag brand Mia Tui from her home in Middleton, landed the high-tech tablet after completing an online customer satisfaction survey giving her feedback on Velocity. Her name was picked at random from 95 entrants who had completed the survey. She said: “I couldn’t believe it when I heard I had won. I never normally win anything yet the day before I’d won a parents’ race at my kids’ sports day so my luck must be in. Charlotte has seen her business grow significantly since teaming up with Velocity, with a grant enabling her to produce a series of high quality promotional videos, invest in her website and digital advertising. Velocity is the business support service delivered by the South East Midlands Local Enterprise Partnership (SEMLEP), offering free one-to-one advice, workshops and guidance on funding streams. To find out more about how Velocity could help you and your business, call 0300 01234 35.